Riverbend Housing has been using Trinity Plumbing for at least 4 or more years now. We find Dave and his team to be very prompt and professional when called. Areas of work are always left clean and tidy when Trinity is done. Any emergency issues we may have had (being 26 years old we have had quite a few) were always responded to promptly. Trinity Plumbing is very pro-active with our boiler maintenance program and very competitively priced. I am pleased to recommend this company to anyone at any time as they are top notch plumbers. 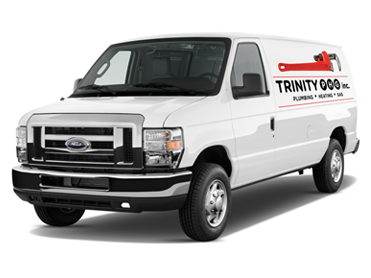 As a Property Manager, Trinity Plumbing has worked on numerous projects as our main plumbing, heating, and HVAC contractor in the past 3 years. They demonstrate a high level of quality in their work. Their field and office staff members are knowledgeable and they adhere to the project’s requirements and specifications. Should a problem arise, they work to address and resolve whatever issues are in need of rectifying. On behalf of our clients ‘Strata’ I am pleased of their service and will not hesitate to refer Trinity Plumbing to all our clients. I have been using Trinity Heating, Plumbing, and Gas for close to 5 years now and have to say they have continually provided me with honest reliable service anytime day or night when i call!! And trust me when i say day and night. I own 2 restaurants one of which is a 24 hour diner and 2 houses. Between the 4 places i call often and they are always quick and honest about the work and on top of it very pleasant to deal with. I have recommended Trinity to many people over the past 5 years and this group has always made me look good. I always get a thank you from my friends after Trinity has helped them out and the reviews are always the same. I will continue to use their services as they have proven time and time again they pride themselves with the job they do which in turn results in exceptional service to us, the customers. Dave and his crew are very reliable. No matter what time of day problems occur, the guys are always quick to respond. Issues are fully address immediately, which saves us from dealing with the same problems over and over again. Accomodating and knowledgable staff makes this possible. Every situation is clearly explained to us and options are always given. When we call Trinity we know that things will be resolved and that my staff can focus on their other tasks. Highly recommended. We have been dealing with Trinity PHG for the past three years and we are very satisfied with their level of service. Our co-op is over 25 years old, and our plumbing is a challenge to say the least. We started using the services of Trinity PHG in the fall of 2009, but the impressive test came on New Year’s Eve of 2009. In the mid morning we discovered we had no hot water for our co-op. Dave and his crew came quickly, diagnosed the problem, located a new hot water tank and finished installing the same day. Subsequently, Trinity PHG have always responded quickly whether it’s an emergency or otherwise. Their work is high quality and the price is very reasonable when compared with other plumbing companies. Most importantly, because Trinity PHG is not a large company, we see the same people coming to carry out various repairs. This continuity of personnel means that our members have more confidence in seeing the same plumbers on site, and it says a lot for the lack of turnover of staff at Trinity.